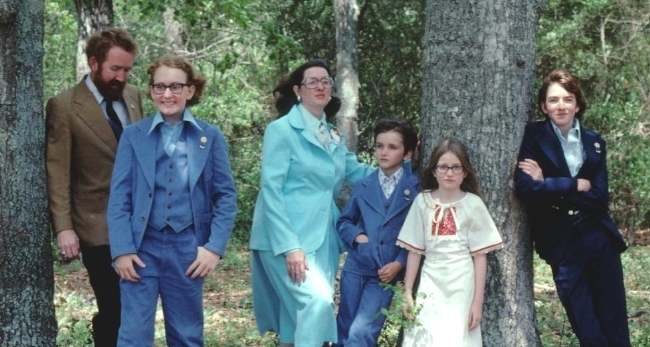 In the 70’s, portraits in natural settings were popular. This photo with tripod and self-timer was made in a wooded area near our home. Can you see that we are all wearing our Sunday School attendance pins? Photography magazines suggested adding motion to still photos and an example of our effort appears at the end of this collection. 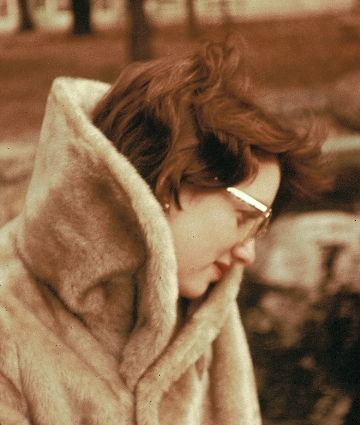 This photo of Ann was taken in the fall of 1961 during a short day trip to Siloam Springs not far from the University of Arkansas in Fayetteville. My roommate was dating Ann’s sister and they arranged a blind date to get us acquainted and we have been together ever since. She is still just as pretty to me although no longer the slim young thing she was then. This was taken with a Kodak Signet 35mm rangefinder camera that was given to me for high school graduation by my Uncle Irving and Aunt Nila. The camera was stolen soon after this. I don’t remember how this film was processed, but it is the only one of my rolls of slide film to fade as this has. In the spring of 1961, I was still living in the freshman dormitory when I took this photo. It must have been on a tripod, but I don’t remember how I tripped the shutter. I cropped the scanned image a little to improve the centering. After I began work with NASA, I was able to buy another 35mm camera, a Yashica Penta J single-lens reflex, all manual operation. Probably all the remaining photos were taken with it. 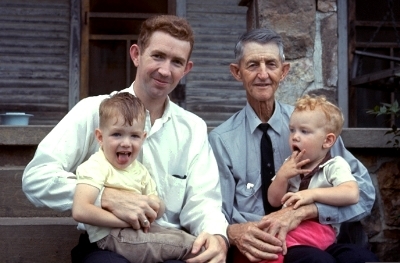 This photo of my Grandfather Maxwell, Jimy, Louis, and me was taken in May 1966 on one of our many trips back to Arkansas to visit family. Grandpa was 74, Jimy 3, Louis 2, and I was 25. 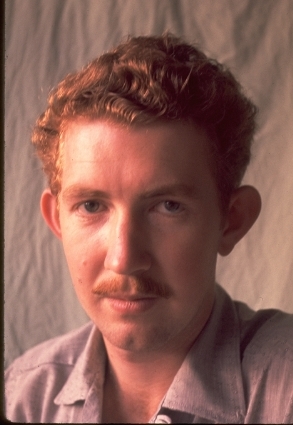 This portrait of Louis has always been special to all the family. He was not feeling well that day on the front steps of my parents’ home. 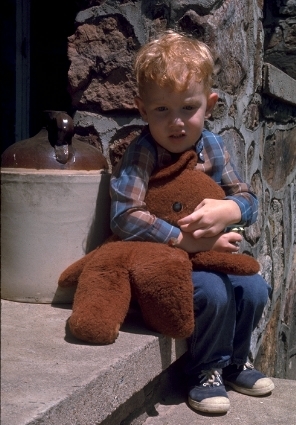 He still has the bear.